Writing a resume. What? You think that sounds boring? Don’t worry, I’ll make it fun. 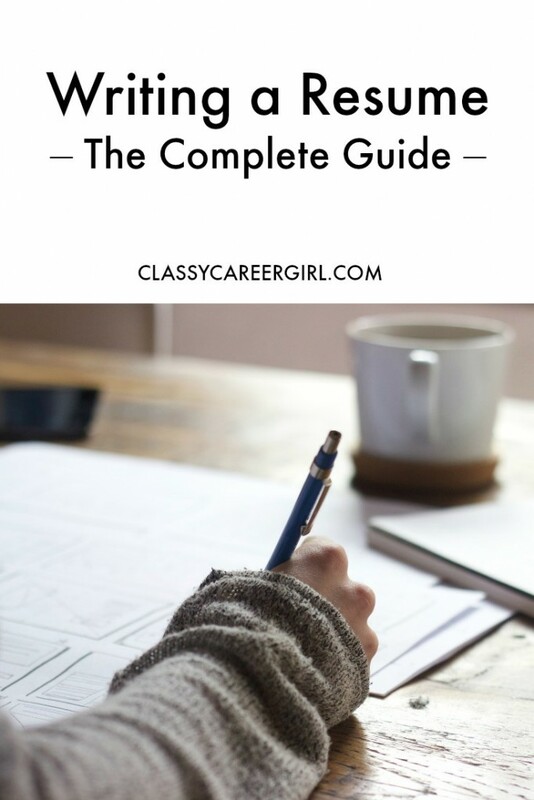 This article will help you polish up your resume and optimize it for your dream career so that you can truly shine on paper. The details really do matter here so we’ll focus in on the key elements so you can stand out from the competition and land your dream job. Note: Make sure you get your hands on our 2 proven free resume templates. Let’s get started by creating your resume branding strategy. What you might find a little funny though is that we are not even going to look at your resume yet! This is the step that is often missed by job searchers. One of the biggest mistakes is not doing this pre-work and really thinking about your branding strategy before you start updating your resume. 2. What is your career target and job title? 4. How do you want to stand out? 5. How do you want to be known? These are all the questions you want to think about before you start updating a resume template. If you miss this task today you might not actually even get your resume seen by a live person if you don’t pass the computer system! When you apply, you are competing with on average 250 other resumes and a computer system is weeding out the best resumes. What are the computers, otherwise known as application tracking systems, looking for? The right keywords! We don’t want you automatically disqualified because you don’t have the right keywords. So let’s focus on one career target for now. We are going to create one resume for each career target title that you have. Then, we are going to find 2-5 job descriptions for that career title. I recommend checking out indeed.com because it takes all the job search sites and puts them onto one place for you. Another site I love to find job descriptions from is LinkedIn. Then, look at those job descriptions and highlight the common skills, requirements and education. You are highlighting the common keywords on those job descriptions so we can make sure we include those on your resume. Remember, two other job sites onetonline.org and mynextmove.org to do more research on keywords for the career you want. These sites will give you so much detail on the knowledge, skills and abilities needed for keywords in your resume. This lesson is crucial so you better listen up! Your work experience is the number 1 most important part of your resume. First make sure you dust off those work experience stories. You are going to use them here! Your work experience should not be a list of tasks you have done. If you look at your resume right now, you might just see a long list of tasks. That is what I often see when I do resume reviews. I want you to instead share positive results from previous employment and education. So your work experience is instead the performance, accomplishments, achievements, rewards and actions you helped make happen. Paying careful attention to add a lot of numbers, percentages and dollar amounts whenever possible. Tell me about how you saved money. Tell me about how you improved client satisfaction. Tell me about how you improved productivity. Really dig deep and think about those results you helped make happen. This will make you stand out!! I’ve got a question for you. Would you take my course if I told you that my objective was to make a lot of money? Nope, I didn’t think so and that’s not really my objective anyways. I am pretty sure that you be much more likely to buy my course if I told you it would benefit you and how I could help you. Now, let’s apply the same logic to writing a resume. Do you want to start out your resume by telling them that your objective is to get a good job? Or do you want to start out your resume by telling them how you can benefit and help the company. Let’s do the latter and focus on communicating your benefits as much as possible in a summary section at the top of your resume. I would strongly discourage the objective statement since it is all about what you want and doesn’t communicate what you can bring to the company if they hire you. Many companies don’t care what you want and their number one priority is finding a candidate that fits their job requirements. A summary statement should be about 4-6 lines and include the top 5 things you want them to know about you. This is where you are going to highlight your most relevant strengths, results that are unique to you and the job you are applying to. 1. Functional Resume. This resume is focused on your skills and experiences rather than your chronological work history. It is used most often by people who are changing careers or who have gaps in their employment history. 2. Chronological Resume. This resume starts by listing your work history, with the most recent position listed first. Employers typically prefer this type of resume because it’s easy to see what jobs you have held and when you have worked at them. 3. Combination Resume. With this type of resume, you can really highlight the skills you have that are relevant to the job you are applying for and also provide the chronological work history that employers prefer. 4. Non-traditional resume typically includes photos, graphics, logos and any other images. This could be web-based or an online portfolio. This type of resume is perfect for non-traditional roles where the job description requires creativity and thinking outside of the box. This is the resume if you want to stand out and the company you are applying at is not conservative. Another common question I get about writing a resume is whether you should put your education or experience first? The general rule is that if you have recently graduated and have no work experience, put your education first. If you have more experience than education, then start off with the experience. Speaking of education, when you are writing a resume don’t just limit it to the university name and date you graduated. I challenge you to also list any special awards or honors you earned, courses you took that would be helpful in the job you are applying for, special projects, internships and achievements while you were in school, scholarships and academic awards and even sports and extracurricular activities. I was on the tennis team when I was in college and for an entire year I committed to working on my tennis game and traveling around the country with my tennis team. That showed a lot of commitment and also displayed my teamwork and leadership abilities so I was happy to share it on my resume and talk about it in job interviews. Another common question I receive is how long should the resume be? The answer is 1-2 pages but never 1 and a half pages!! Either fit everything tightly on one page or if you have a lot of experience feel free to list it onto page 2. And remember, if you are very experienced, your education section can get shorter. Alright, it’s time to pick a template and start writing a resume. Make sure you register to get all the best free Resume Templates. So, we’re finished talking about writing a resume. Next up: Your cover letter! Wait, is that even required? Learn more about cover letters here.